Pentremites obesus blastoid found in Grayson County, Kentucky, USA. 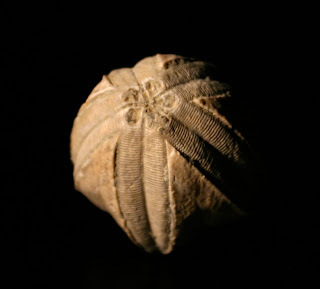 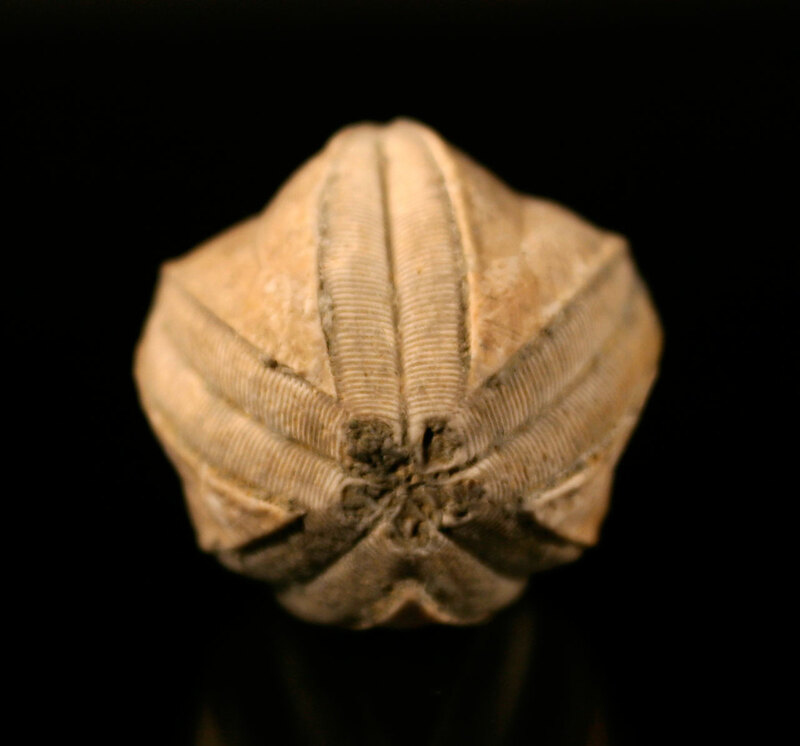 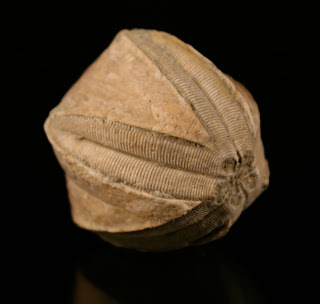 Fossil was picked up in the Glen Dean Formation which dates to the Upper Mississippian Period (Carboniferous). 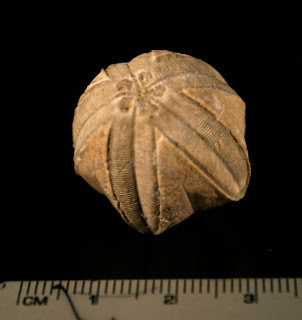 For blastoids, this one is large measuring about 3 cm across. Thanks to Herb for letting me photograph it.